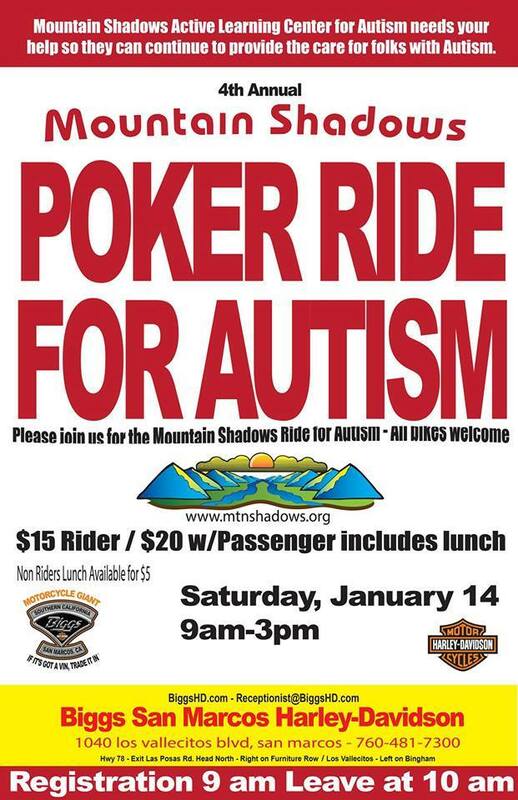 Please join us for a great ride for a great cause. Helping folks with autism. The flier has more information.